This sacred city was established around a cutting from the "tree of enlightenment", Buddha's fig tree, brought there in the 3rd century B.C. by Sanghamitta, the founder of an order of Buddhist nuns. 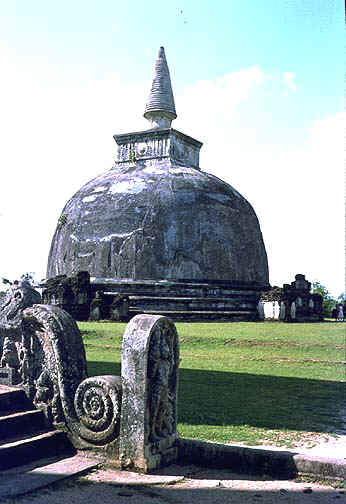 Anuradhapura, a Ceylonese political and religious capital that flourished for 1,300 years, was abandoned after an invasion in 993. Hidden away in thick jungle for a long time, the splendid site, with its palaces, monasteries and monuments, is once again accessible. The second capital of Sri Lanka after the destruction of Anuradhapura in 993, Polonnaruwa comprises, besides the Brahmanic monuments built by the Cholas, the monumental ruins of the fabulous garden-city created by Parakramabahu I in the 12th century. On the steep slopes and the summit of a granitic peak some 370 metres high - the "Lion's Rock", which dominates the jungle from all sides - lie the ruins of the capital built by the parricidal King Kassapa I (477-495). A series of galleries and staircases which emerge from the mouth of a gigantic lion constructed of bricks and plaster provide access to the site. 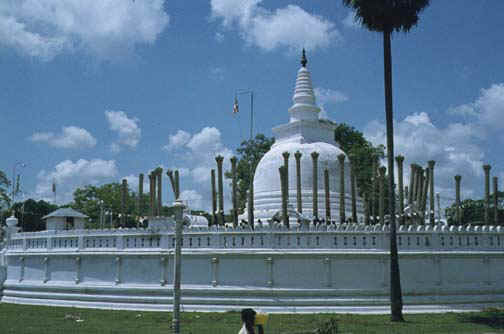 This sacred Buddhist site known as the city of Senkadagalapura, was the last capital of the Sinhala kings whose patronage enabled the Dinahala culture to flourish for more than 2,500 years until the occupation of Sri Lanka by the British in 1815. 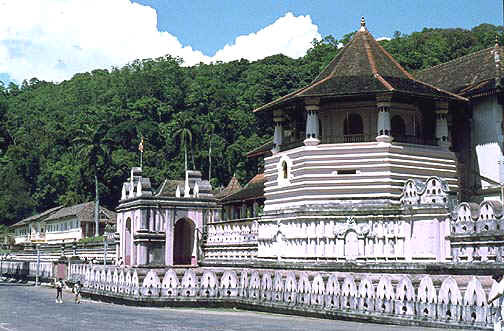 It is also the site of the Temple of the Tooth Relic (the sacred tooth of Buddha) which is a famous pilgrimage site. 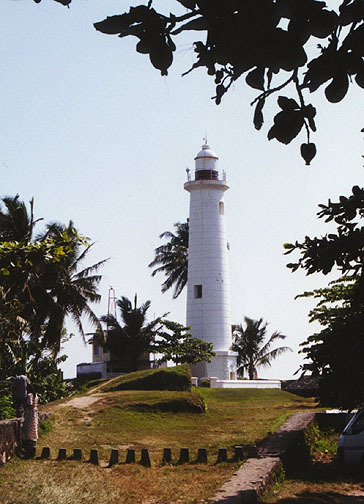 Founded in the 16th century by the Portuguese, Galle reached the height of its development in the 18th century, before the arrival of the British. It is the best example of a fortified city built by Europeans in South and South-East Asia, illustrating the interaction of European architecture and South Asian traditions. A sacred pilgrimage site of Sri Lanka for 22 centuries, this cave- monastery contains five sanctuaries and is the largest and best preserved cave-temple complex in Sri Lanka. 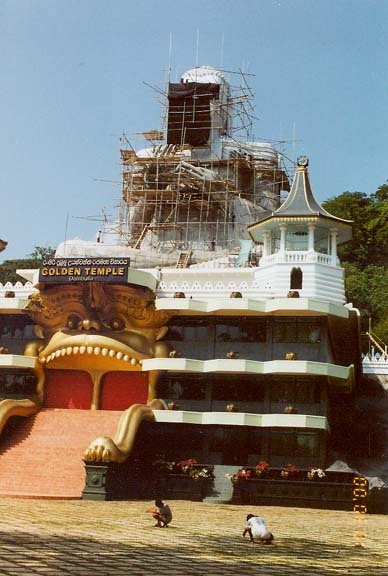 Of particular value are the Buddhist mural paintings, covering an area of 2,100 square metres, and 157 statues. 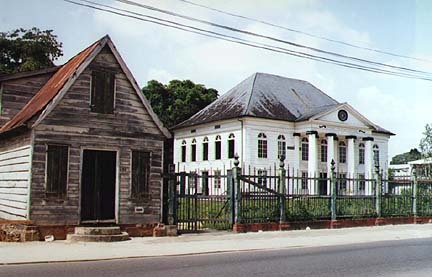 Paramaribo is a former Dutch colonial town from the 17th and 18th centuries planted on the coast of tropical South America. The original and highly characteristic street plan of the historic centre remains intact. Its buildings illustrate the gradual fusion of Dutch architectural design with traditional local techniques and materials. 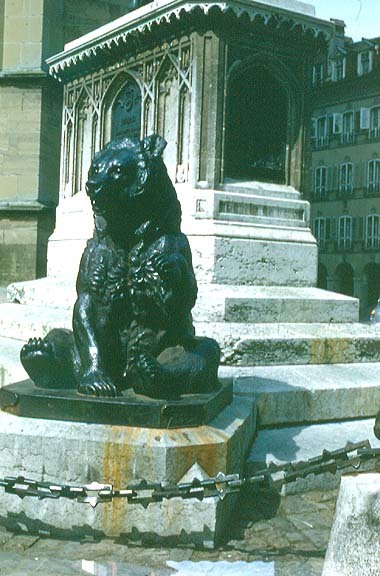 Founded in the 12th century on a hill site surrounded by the Aar River, Berne became the Swiss capital in 1848. The buildings in the old city, from a variety of periods, include 16th-century arcades and fountains. The major part of the Medieval town was renovated in the 18th century but its original character was preserved. Founded in the 3rd millenium B.C. it is one of the oldest cities in the Middle East. 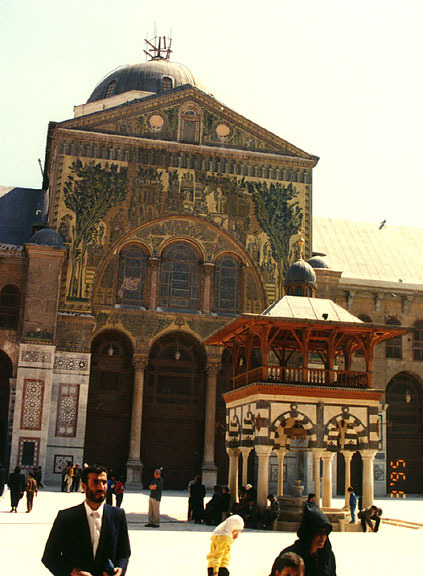 In the Middle Ages Damascus was the centre of a flourishing artisan industry (swords and laces). Amongst the 125 monuments from the different periods of its history, the 8th-century Great Mosque of the Umajjades is one of the most spectacular, built on the site of an Assyrian sanctuary. 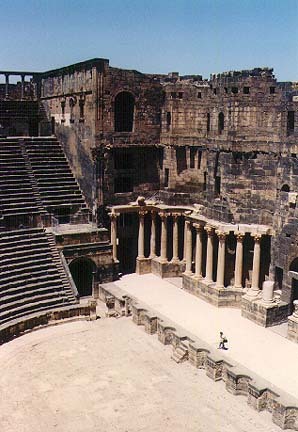 Once the capital of the Roman province of Arabia, an important stopover on the ancient caravan route to Mecca, Bosra has conserved within its thick walls a magnificent Roman theatre from the 2nd century, early Christian ruins and several mosques. An oasis in the Syrian desert, north-east of Damascus, Palmyra contains the monumental ruins of a great city that was one of the most important cultural centres of the ancient world. 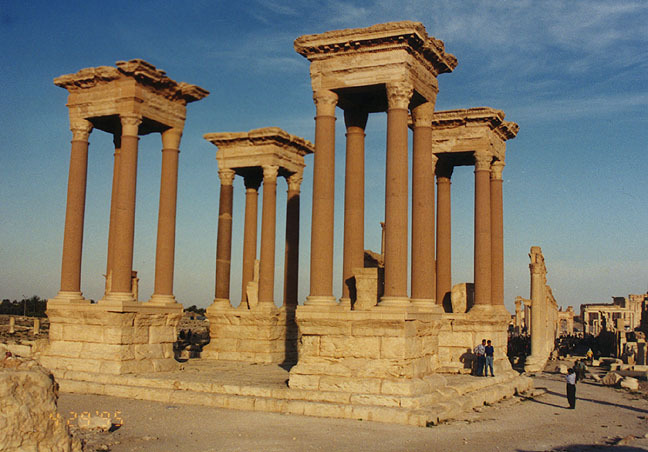 The art and architecture of Palmyra, at the crossroads of several civilizations from the 1st to the 2nd century, married Graeco-Roman techniques with local traditions and Persian influences. 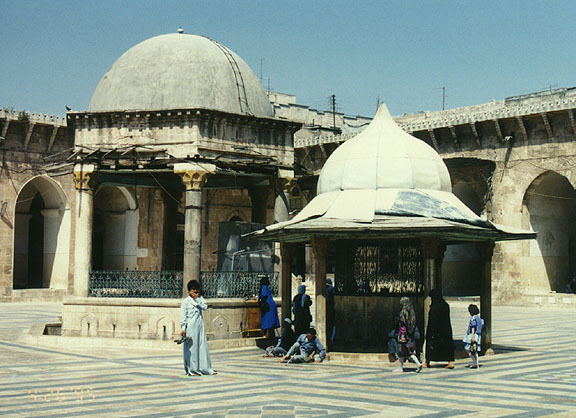 Located at the crossroads of various trade routes since the 2nd millenium B.C., Aleppo was ruled successively by the Hittites, Assyrians, Arabs, Mongols, Mamelukes and Ottomans. Its 13th-century citadel, its 12th-century Great Mosque and various 17th-century medersas, palaces, caravanserais and hammams give it a cohesive and unique urban fabric, now threatened by overpopulation. 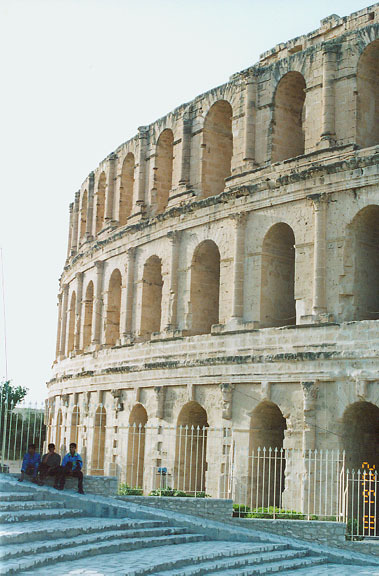 The impressive ruins of the largest coliseum in North Africa, a huge amphitheatre which could hold up to 35,000 spectators, can be found in the small village of El Jem. This 3rd-century construction illustrates the extent and grandeur of Imperial Rome. Founded in the 9th century B.C. on the Gulf of Tunis, Carthage developed, from the 6th century, into a great trading empire covering much of the Mediterranean and was home to a brilliant civilization. In the course of long Punic wars, Carthage occupied territories belonging to Rome, which finally destroyed its rival in 146 B.C. 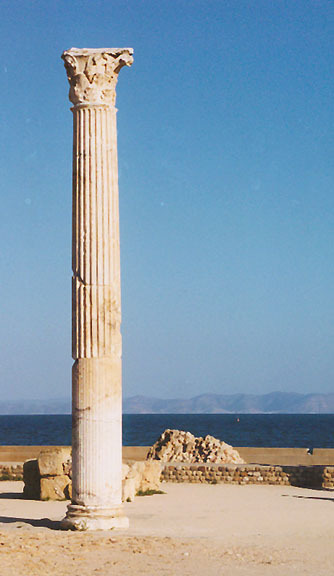 A second - Roman - Carthage was then established on the ruins of the first. 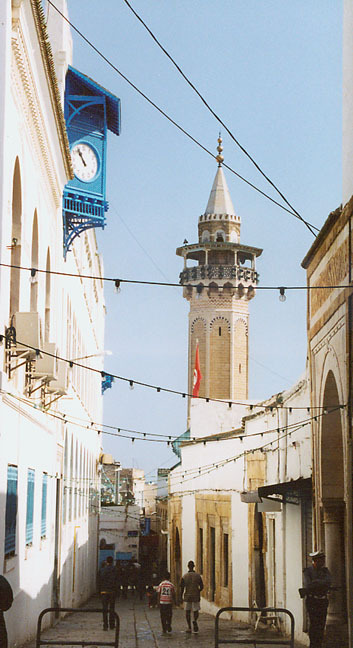 Under the reign of the Almohaves and the Hafsides dynasties, from the 12th to the 16th centuries, Tunis was considered one of the greatest and wealthiest cities of the Islamic world. Some 700 monuments, including palaces, mosques, mausoleums, medersas and fountains, speak of this remarkable past.